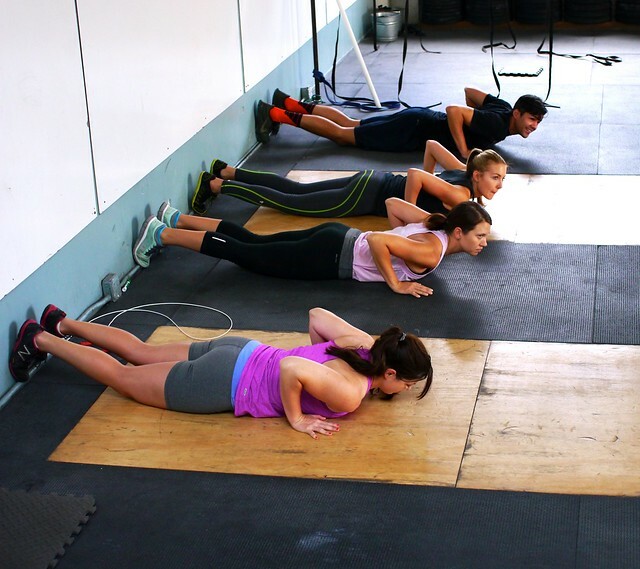 Home » WOD Blog » Hump day! Wednesday advanced athletes will continue to perform Clean and/or Clean and Jerk work. However, we will be introducing a Deadlift program and recommending those that struggle with this movement and/or have mobility issues in the bottom position to focus here during this cycle. This is a foundational movement to life (and lifting:)! Notes: Do not go above these percentages, even if the weight feels light. If you do not have percentages, you will be focusing on form and numbers to build off of for next week. If the coach establishes that you do not have a quality bottom position, you will perform a Romanian style Deadlift starting on boxes or a rack. The point is to lower down only as far as you can maintain a solid midline position. Over time this will act as a stretch and you will make it to the ground. This goes for everyone no matter your experience! Take time to improve and perfect this position and you will get better at all movement. Notes: Warmup and perform all sets at 70-80%. Rest about 2 minutes between sets and try to hang onto the bar between reps, but drop it if you have to for safety. These should all be squat. Notes: One partner sprints through a full round, then switch until each performs 5 rounds. Prescribed is HSPU (kipping allowed), 20/14 med balls to 10’ line and 24”/20.” Try to partner with someone of similar abilities. Feel free to scale the reps or perform ring rows on the pullups as needed to maintain intensity. Use a box to ensure proper depth on the wall balls if needed.